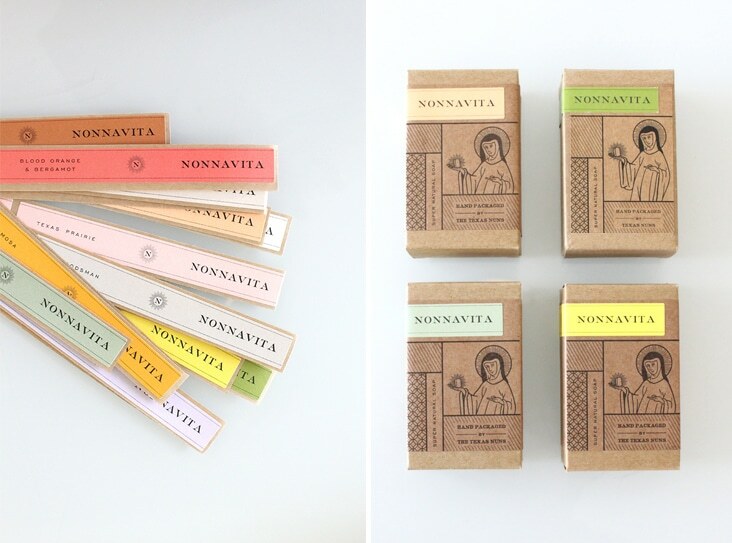 Nonnavita – Super Natural Soap « Stitch Design Co. 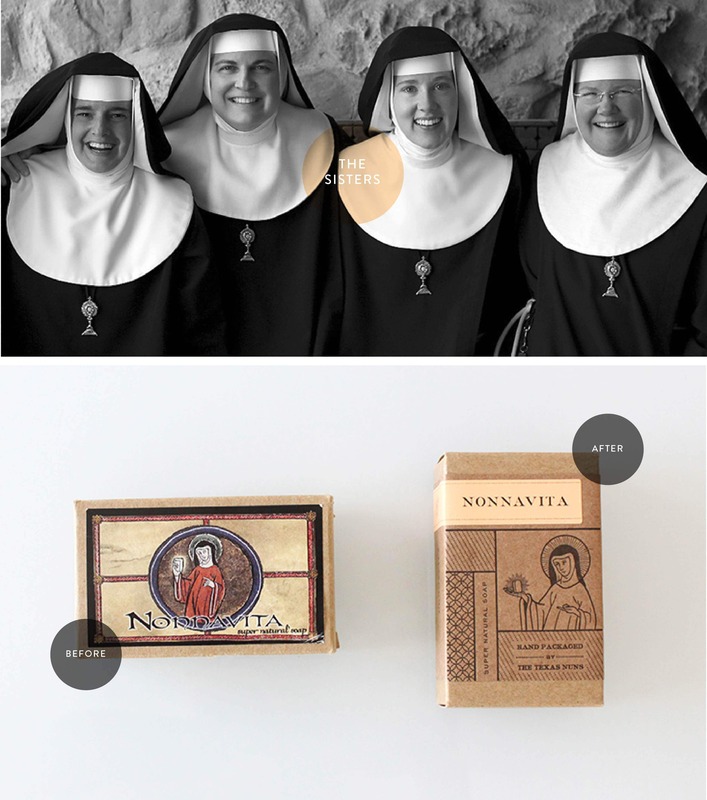 The Nuns of the Monastery of St. Michael the Archangel came to us to help them refine their logo and packaging for their all natural soap, Nonnavita. 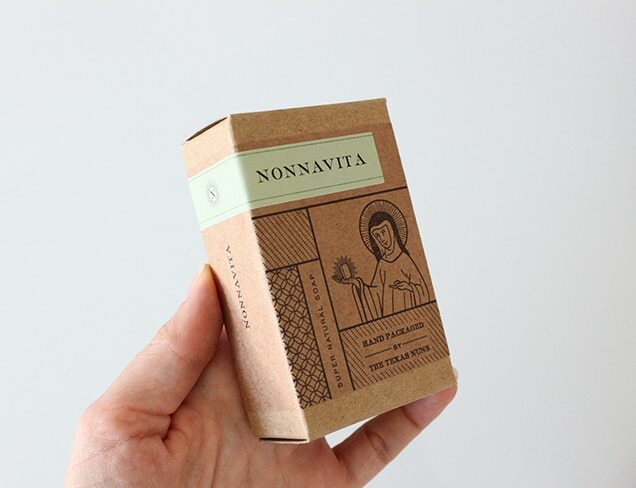 The word Nonnavita is a combination of two latin words put together: nonna, meaning nun, and vita, meaning life: A Nun’s Life. It has been such a pleasure working with the sisters and helping them see their product come to life (see the before and after image). The boxes are 1 color letterpress and then customized with a broad range of color coded labels to denote their wide range of scented soaps. These sisters are full of life, wit and spirit. 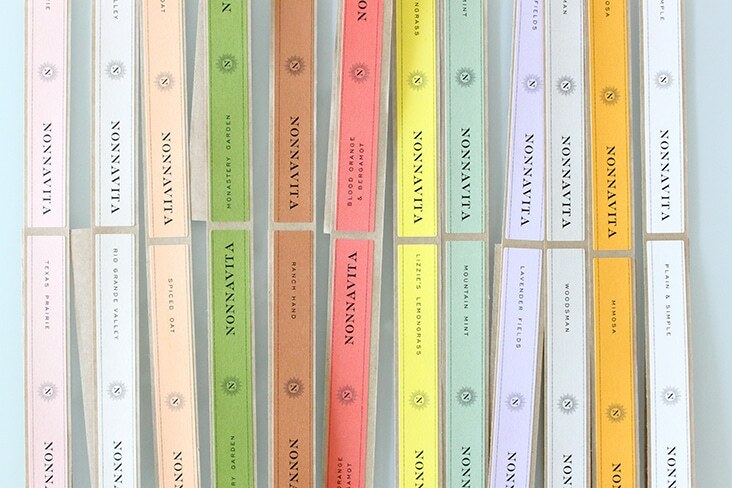 Now sold in Williams Sonoma, be on the look out for this soap, it’s truly super natural!